Today the A to Z blogging challenge begins. The challenge asks participants to write 26 posts throughout the month of April, with Sundays off for good behaviour. Today starts with the letter A and will run until the last day in April with a blog post beginning with the letter Z. As mine is a personal family history blog, my A to Z will be about that subject. ‘The Aunts’ was the collective name given to my grandmother’s sisters. They were my father’s aunts, there were four of them: Edie, Rose, Olive and Grace and they lived in Basingstoke, Hampshire, England. They would send me postal orders for Christmas and my birthday, I don’t remember ever meeting them but here is a photo of them. Right to left: Grace, Olive, Rose, Edie and Annie. My grandmother Annie is on the left of the picture. 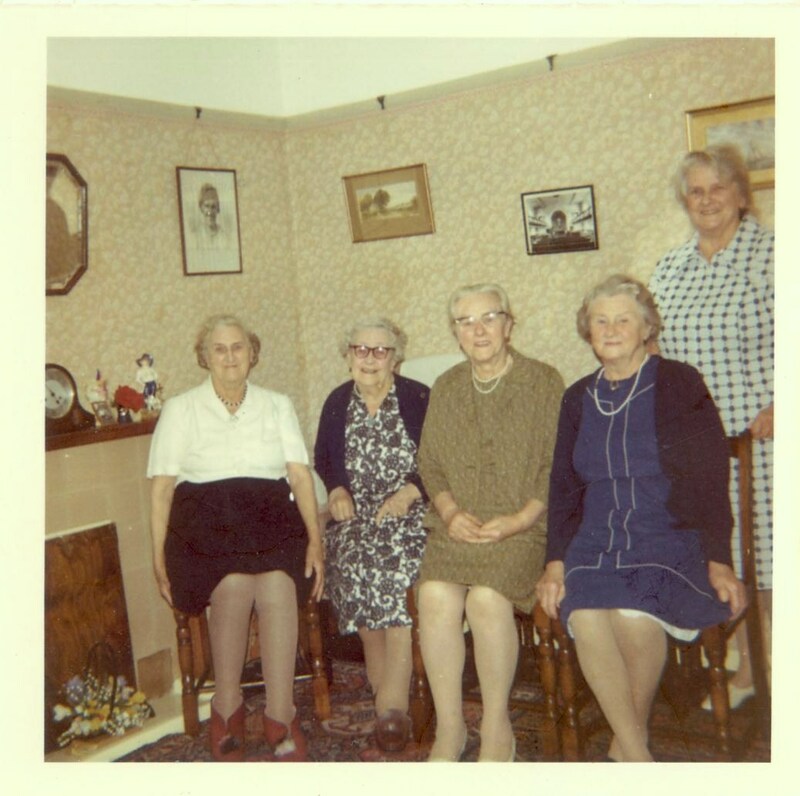 This entry was posted in A - Z Blogging Challenge 2013, Annie Cleeve, Edith Maud W Cleeve, Grace Cleeve, Olive Cleeve, Rose Cleeve and tagged Family History. Bookmark the permalink. When we are blessed to have an extended family we should be mindful and appreciate it for what it means. SO many families these days are shrinking due to the changing thoughts of family size due to economics and different perspectives. Soon the days of large families will be past. I look forward to reading more of your posts in the challenge. I love looking at old family photos too, I wonder if it’ll be the same with the digital photos now?